That’s the distance between NE 9th—the street the Portland Bureau of Transportation (PBOT) recently decided to transform in to a bike-prioritized “neighborhood greenway”—and NE 7th, which many biking advocates had hoped would be PBOT’s choice. The decision came down to access: Whether displaced Black Portlanders driving to longtime neighborhood businesses should be prioritized over the predominantly white cyclists wanting a slightly easier bike route. Whether or not one street becomes more bike-friendly than another just two blocks away might seem like an largely inconsequential decision. But for many in Portland’s Black community, this outcome represents miles of progress. “We feel good about any gains we’re getting working with the city,” said John Washington, chair of Portland’s Soul District Business Association, after PBOT announced its decision last week. The association advocates for African-American owned businesses in Northeast Portland. It’s hard to understand the importance of PBOT’s recent decision without talking about the history of the neighborhood it'll impact. NE 7th and NE 9th streets cut through Albina, the historically Black neighborhood born from exclusionary real estate policies in the early 20th century, gutted by urban planning in the 1950s and 60s, and gentrified by developers and new residents in the aughts. The constant revamping of the neighborhood has taken a toll on its residents—the once-majority African American neighborhood is now only 14 percent Black. It's part of a citywide migration: According to a Portland State University study, at least 10,000 Black people have moved from central Portland to the outskirts in recent years, largely due to rising housing prices. Albina's changing identity is perhaps best represented in city's 2011 debate over N Williams' bike lanes. As the Mercury reported back in 2011 and 2012, the N Williams Safety Project was an seemingly innocuous PBOT plan to make the one-way street to more accessible to bikes and pedestrians, reducing driving and parking space in the process. But while the project was celebrated by the city’s myriad biking advocates, it was coldly received by many in Portland’s Black community. 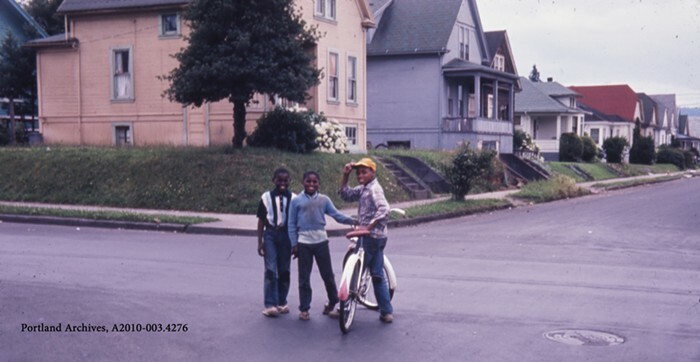 To many Black Portlanders, a N Williams makeover—geared toward predominantly white, middle-class cyclists—seemed like just another attempt to erase the neighborhood’s history. 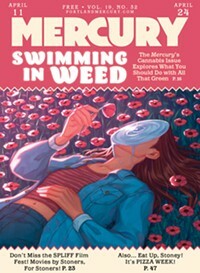 "I've seen the street change a lot, I've seen the community change a whole lot," said Jerrell Waddell, a pastor at N Williams’ Life Change Christian Center, in a 2011 interview with the Mercury. "Portland wants to increase bicycle traffic and I think the bike community is forcing that on the community at large. I feel like this particular project is having an impact on gentrification." Cyclists ended up getting their way with N Williams, to Black neighbors’ frustration. That’s not the case this time around. The idea to make either NE 7th or 9th into a greenway comes from PBOT’s Bicycle Plan for 2030, adopted by the city council in 2010. The lofty project introduced plans to create an easily-bikeable network of roads throughout Portland. Part of that meant creating greenways, or intentionally bike-friendly streets equipped with lime green bike lanes, speed bumps to slow down cars, and other design factors that discourage heavy vehicle traffic. 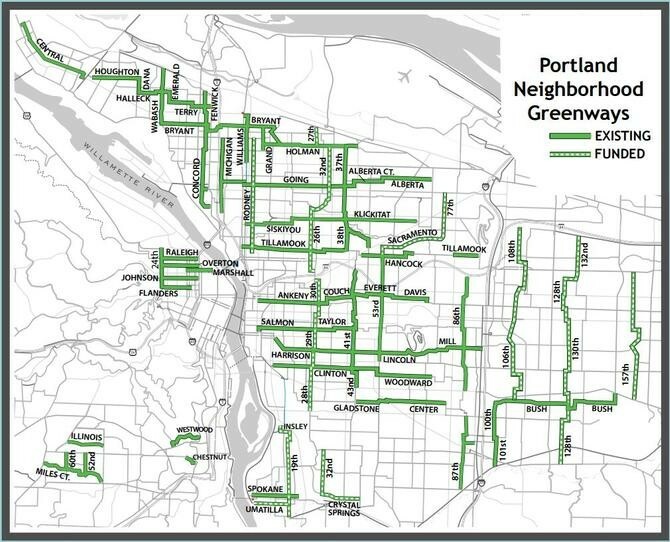 During this process, PBOT was tasked with deciding which street would be best for a greenway: NE 7th or NE 9th. City planners initially favored NE 7th, since the street is relatively flat and it offers an easy route to connect with a future bike bridge slated to cross over Interstate 84. Bike advocates, like Go By Bike founder Kiel Johnson, also favored NE 7th over NE 9th, a street that is less flat and less connected by comparison. In a guest post on BikePortland.org, Johnson lamented PBOT’s recent decision. Johnson's emotions, which were echoed accross Portland's cyclist community, aren't new to Albina's Black residents who've regularly felt excluded from major city planning discussions. According to Washington, past efforts by PBOT and other city agencies to engage Black Portlanders rang hollow. This time around, PBOT was determined to do a better job. At an August 2018 open house, PBOT heard from Black community members who were concerned about the impact a NE 7th greenway would have on the area. The bureau then held two focus groups for Black Portlanders, and found that while the community favored making NE 7th safer, they didn’t want to see the street turn into a full greenway. That's partially because, unlike Albina's population of African American residents, the institutions that have long-served the diminished Black community have remained in the neighborhood. 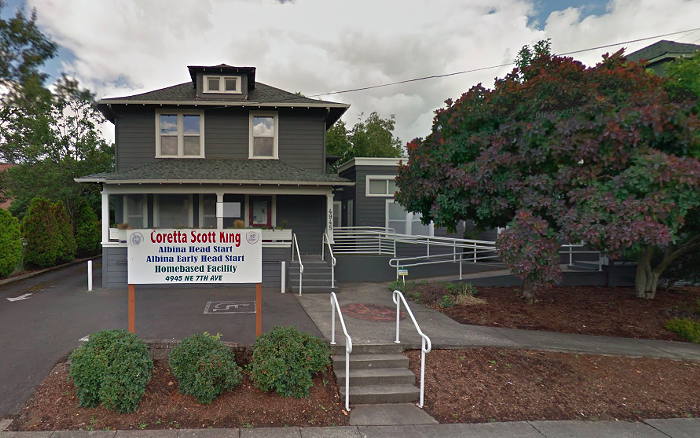 Those institutions, like the Albina Head Start, the Margaret Carter Neighborhood Network Center, and some businesses represented by the Soul District Business Association, are located on NE 7th. Leaders of those organizations and their clientele worried that redesigning NE 7th would cause logistical problems for Black Portlanders who have to drive from other neighborhoods to access services and business on NE 7th. In addition to concerns about accessing services on NE 7th, Black Portlanders also cited a general lack of faith in city government, and the worry that a change in traffic flow could make commuting difficult for drivers. Washington and other local Black leaders noticed the new effort. Washington said he was impressed with PBOT’s new equity and inclusion manager Irene Marion, who helped bridge the gap that sometimes exists between the city’s more bureaucratic elements and its minority residents. 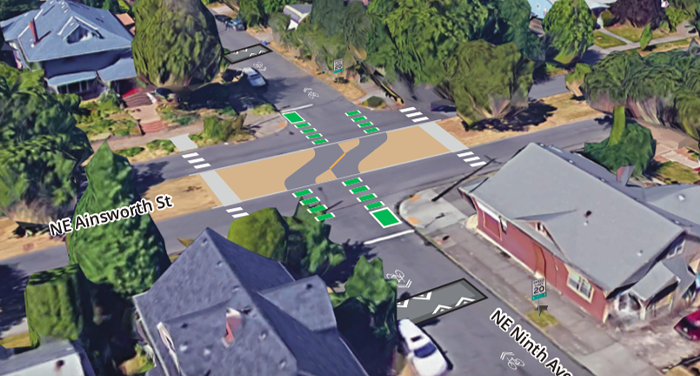 Using feedback garnered during those focus groups, PBOT decided to implement some safety changes to NE 7th—called the “Safer 7th” project—but make NE 9th the full neighborhood greenway. Johnson of Go By Bike, while disappointed with the outcome, said he recognizes the importance of PBOT’s decision. No, a single city project outcome doesn’t negate decades of neglect and abuse on Portland’s part against the city’s Black community. But it does suggest that the city’s institutions are capable of change—and that PBOT can use this new framework moving forward.